Waldorf crafts focus on simple, natural materials and inspire imaginative play in children. If you have been looking to incorporate more natural play in your child’s day but don’t know where to start, check out these simple Waldorf crafts! Waldorf peg dolls are tiny dolls that children can take anywhere. Their simple features make it easy for children to use their imaginations to create endless possibilities for play. Paint the body of the wooden peg doll with the watercolor paint and allow it to dry. Cut a strip of wool felt that is 1/2 inch wide and long enough to wrap all the way around the doll’s head. Cut scallops into one long side of the strip, then glue the strip (scalloped side up) around the top of the doll’s head to form a crown. Cut out a piece of wool felt in the shape of a cape. 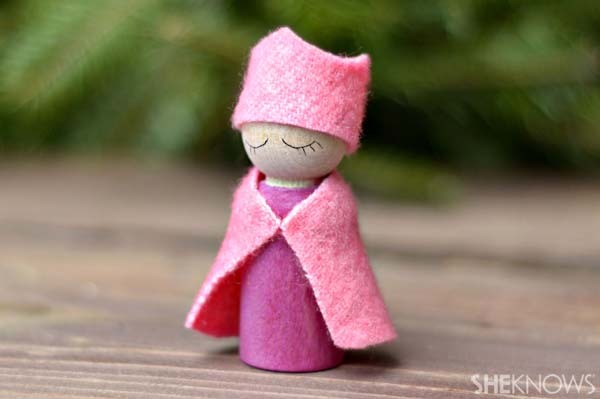 Wrap the cape around the body of the peg doll and glue it in place. Draw a simple face on the doll using a ballpoint pen or fine-tip marker. Play silks are a wonderful toy for children of all ages. They inspire open-ended play and their many uses are as unlimited as your child’s imagination. Mix up your fabric dye according to the package instructions. Transfer individual colors of fabric dye into the squeeze bottles. 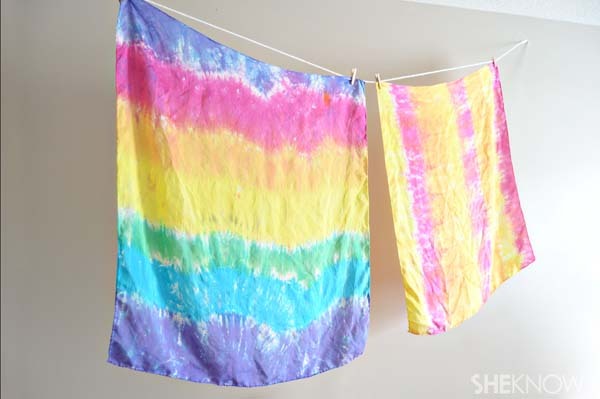 Fill a large bowl with plain water and completely submerge the silk scarves in the water. To dye a solid color scarf, remove a silk scarf from the water, place it on a protected surface and completely saturate the scarf with dye. To make a patterned scarf, use rubber bands to tie off different sections of the scarf. Use the squeeze bottles to squirt different colors of dye between the rubber bands, allowing the colors to bleed toward each other. Allow the scarves to sit for at least 30 minutes (longer for more saturated color) then rinse the scarf in the sink with cool water until the water runs completely clear. Hang the scarves to dry. Waldorf window stars are beautiful, translucent stars made of folded paper that will brighten your home through any season. 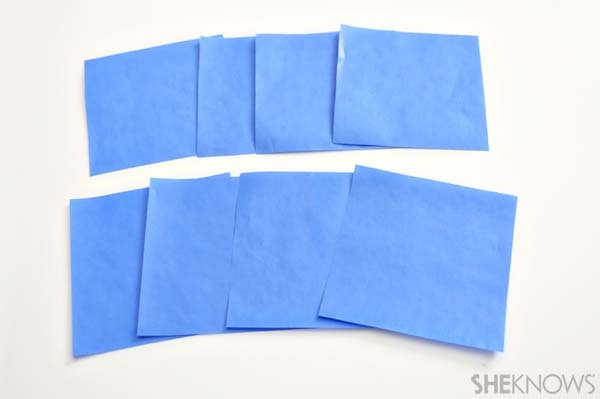 Take 2 pieces of transparent paper and fold it in quarters. 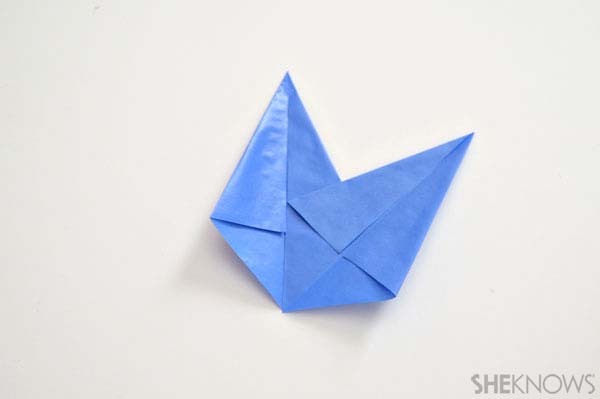 Unfold the paper and cut along the fold lines to make 4 equal squares (8 total). Fold 1 of the squares on the diagonal so that 2 of the corners are touching. Firmly press along the fold. 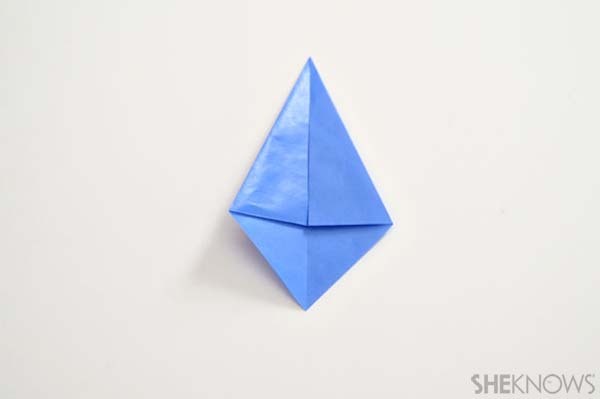 Unfold the paper and lay it out in front of you like a diamond. 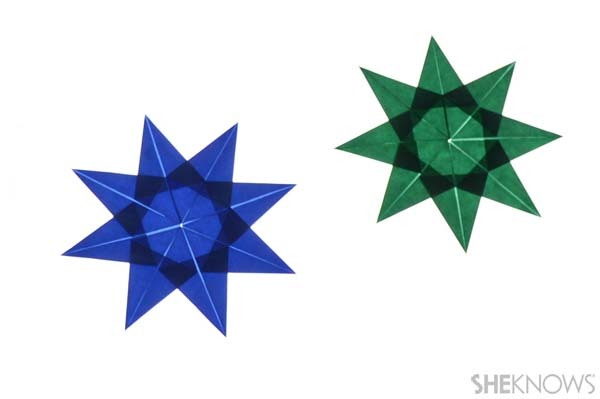 To make 1 of the points of the star, fold the 2 outer corners in so that they meet along the center crease, then glue both flaps down with the glue stick to hold them in place. Repeat steps 2 and 3 for the remaining 7 squares. 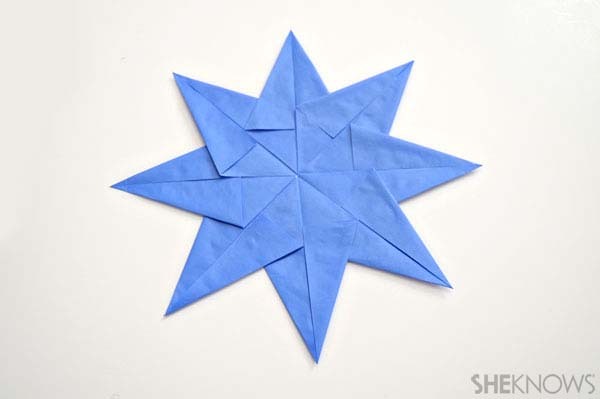 To assemble the star, place 1 of the 8 points on the table with the folded side up. 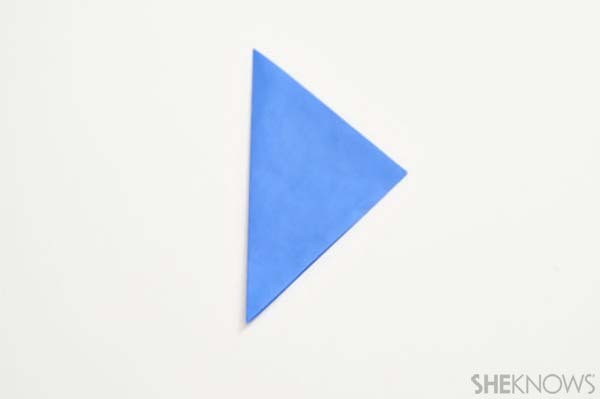 Put glue on the bottom right triangle, then overlap a second point over the first with the bottom corners touching. Keep gluing points to each other until the star is complete. Use tape to hang the star in the window.